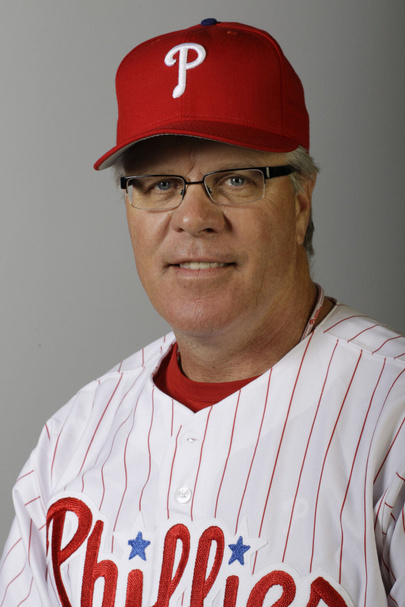 After taking over for fired manager Ryne Sandberg, Pete Mackanin has had the Phillies playing some respectable ball since after the all star break. The roster seems loose, it seems excited, and the current youth movement is serving the team well under Mackanin. But little is still known about the interim manager. The Coggin has taken the time to analyze his moves, analyze some of his decisions, and analyze his fantastic choice of eyewear to deliver you this updated pros and cons list of his time as manager through 2015. • Successfully figured out how to drive to Citizens Bank Park while only checking Googlemaps once. • Handled the trade of Chase Utley with grace and aplomb in the public eye, but has been slashing tires at night in his neighborhood as a coping mechanism. • Has successfully stayed awake for 25% of the games he’s managed so far, by far the best percentage on the team. • His players love Mackanin’s ongoing practical joke where he calls Ruben Amaro Jr. at 1 a.m. and tells him he’s going to slit his throat in his sleep. • Has yet to fully memorize the entire script of Goodfellas. • Has not completed several of the online Phoenix University courses he takes in the dugout during each game. • Still calls Aaron Nola “buddy” because he can’t remember his name. • Secretly wishes the 76ers had drafted someone else other than Joel Embiid. • Hates baseball and everything about it.